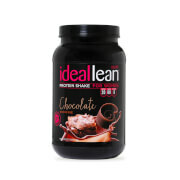 Mix it up with Peaches ‘N Cream IdealLean Protein! 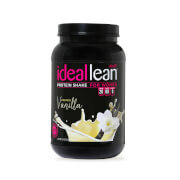 By combining high-quality whey protein isolate with the flavors of juicy fall peaches & silky cream, Peaches ‘N Cream IdealLean Protein deliciously fuels your lean, toned muscle. I had really high expectations when I received this. I tried this and it was awful. Totally let down by this flavor. Do you like peach yogurt? When I opened the tub it smelled just like peach yogurt. I was surprised after mixing it with unsweetened almond milk how mild the peach flavor is. That’s not bad though, it’s absolutely delicious! Love the flavor! Peaches and Cream and Strawberries and Cream are by far my favorites! I have read many reviews on this one saying it was so sweet. I tried it for the first time today and was very surprised about how much I enjoyed the flavor. I used one scoop of powder, water and ice and made a smoothie type of drink. It was delish!! This is ok. I don’t not think it tastes like peaches so much. 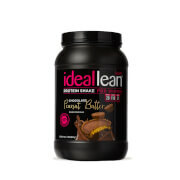 Most protein powders don’t mix well, taste grainy, and just plain leave a terrible after taste. The peaches n cream flavor tastes amazing without being overly sweet and does not leave an after taste. It mixes well without leaving powder pockets. 10/10 would recommend! Love the flavor and it holds me all morning.